I’ve written in the past on this topic, which is controversial in the literature for both adults and children. With parafunctions such as bruxism, there isn’t any way to engage in research based study because no two subjects have the same characteristics, bite or other factors considered to be pre-disposing to bruxism. In children and adults, there are known relationships between sleep disordered breathing/TMJ damage and clenching or bruxing; however, there is no way to have a “double blind” study to come to a definitive reason “why do people clench or brux their teeth”. Contracting the jaw muscles, whether by clenching or bruxing is known to “open the airway” in sleep apnea and often subsides when the apnea is treated. Likewise, a damaged/misaligned TMJ can contribute to grinding/clenching. Over my 30 years of treating TMJ and Sleep apnea, I have seen the majority of patients who had initial complaints of bruxing/clenching and who were properly treated with orthopedic orthotics had a lessening or complete resolution of the bruxing. Many of my colleagues who exclusively treat TMJ also see this response. Dental nightguards sometimes lessen clenching or grinding, but more often exacerbate it. A dental nightguard has a different design and mechanical force on the TMJ than an orthopedic TMJ appliance. If you find you are clenching or grinding harder with your dental nightguard that would strongly suggest an underlying sleep breathing problem or TMJ damage that is being exacerbated. If your current appliance is causing more problems with clenching/grinding, consider having a TMJ specialist evaluate the jaw joints, airway, and the design of your dental appliance to assess if it might be contributing to increased joint pressure or airway constriction, which could be part of the problem. April 4, 2019 Comments Off on Using earplugs to decrease gagging during dental impressions? Using earplugs to decrease gagging during dental impressions? Many people have a heightened gag reflex due to many different reasons, making dental treatment difficult. For those “easy gaggers” and others, the thought of having Dental Impressions of the teeth is stressful because it can stimulate the gag reflex. This reflex is called Arnolds Reflex, named after Freidrich Arnold, an anatomy physician in Germany in the 1800’s. The reflex arises from the auricular branch of the glossopharyngeal nerve and the vagus nerve which are part of a larger group of nerves that giving sensation and motor control to the throat muscles, among other functions. In researching this reflex, it’s said that in man and animals a cough can only be induced by stimulation of a structure innervated by the vagus nerve or one of its branches. The auricular branch of the vagus nerve (Arnold’s nerve) gives sensation to the ear canal mainly the front, lower part. Some people with this heightened reflex may stimulate a “throat tickle or cough” when cleaning the ear canal. Arnolds reflex is said to be present in about 1/3rd of a small sample and is nearly 4 times more common in women than men. In most areas of our skin, stimulation of the cutaneous nerves (such as with clothing, jewelry, watches) rapidly declines so that we aren’t irritated all day by it. The ear canal isn’t, so the sensory signal maintains its strength as a protective reflex as long as the stimulus is present. In some people with a sensitive gag reflex, gentle stimulation of the ear canal (forward lower part) can be used to block the gag reflex during impression taking. This article suggests use of soft earplugs during impression taking. I have also had success with patients placing their pinky fingers in their ears (pads forward) during impressions. The added stimulus through Arnolds nerve (branch) can decrease the gag reflex in some patients during dental impression. It’s not a “guarantee” due to the complex nature of the neurology, but it’s an easy technique to try! Forsch Komplementmed. 2014;21(2):94-8. doi: 10.1159/000362140. Epub 2014 Mar 28. An earplug technique to reduce the gag reflex during dental procedures. Cakmak YO1, Ozdogmus O, Günay Y, Gürbüzer B, Tezulaş E, Kaspar EC, Hacıoglu H.
March 13, 2019 Comments Off on Licorice instead of flossing? As we learn more about the benefits of “nature’s medicines” that other cultures use successfully for some conditions, it makes sense to give a few a serious look due to the lack of side effects that most prescription drugs have. It’s widely reported that oral diseases such as decay, gum disease, abscessed teeth, etc. are a significant source of morbidity across the world. Having disease free, comfortable teeth is important to proper eating. Especially in cultures that need to chew less refined food sources that we are accustomed to. Licorice has many healing properties directly and from the metabolites of licorice that also shows beneficial secondary compounds. Licorice has properties that are well known to be antiviral, glucocorticoids (natural, powerful steroid compounds that have anti-inflammatory effects in the body- natural glucocorticoids work more effectively than laboratory-made ones), anti-inflammatory, antioxidant, anti-carcinogenic, etc. Liquorice has been labelled Generally Recognized as Safe (GRAS) by United States Food and Drug Administration (FDA) and has been considered safe for human consumption provided it is consumed in small amounts and by individuals who are not sensitive to glycyrrhizin. Overuse of liquorice can lead to hypokalemia (low potassium), hypertension, rhabdomyolysis (inflammatory muscle breakdown), muscle paralysis, respiratory impairment, hypertensive emergencies, hyperparathyroidism, among other conditions. These side effects are likely reported with excessive, unmonitored use of licorice. Most prescription medications have longer “side effect” profiles than beneficial effects when I actually read the labels! Touyz et al. recommended that 250-500 mg of liquorice can be safely consumed up to three times a day for medicinal purposes. 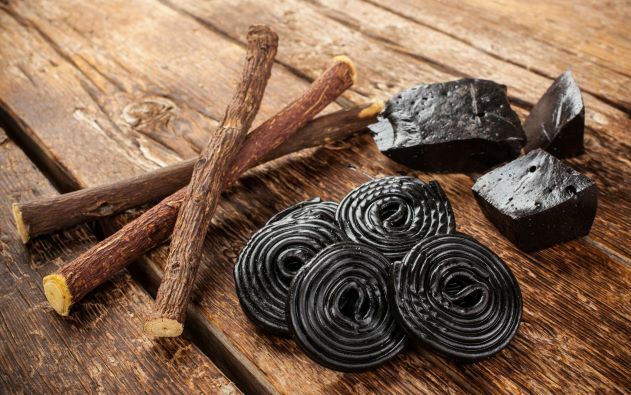 The licorice compound has both an anti-inflammatory effect in the mouth and the gum tissue by “inhibiting” the periodontal-disease bacteria from “sticking” to the teeth as effectively. Licorice also has an inhibitory effect on gum-disease-related bone loss. Some over-counter “cold sore” topical medications contain licorice compounds that help shorten the duration of cold sores. There are also many studies that are looking at the anti-oral cancer effect of licorice compounds, and show some promise. Ayurveda Integr Med. Oct 2018, Oct 31: Sidhu, et al. March 6, 2019 Comments Off on Why can’t I get to sleep? Why can’t I get to sleep? In an article from the American Sleep Association they recommend some of the basics to start with such as avoiding caffeine for several hours before bedtime. They report that brainwave patterns during can continue to show effects of a double espresso coffee 16 hours after it was consumed! In the same study, the measurable level of caffeine spit showed the caffeine to be gone. Caffeine is reported to be the most widely consumed psychoactive drug in the world. It’s followed by tea, pop, and energy drinks. If you are having problems with insomnia, try to stop all caffeine by lunch-time for a couple weeks and see if your insomnia improves. Caffeine can also act by arousing you out of deeper sleep which may be noticed as you not feeling rested despite having slept for 7 or more hours without consciously waking up. Besides caffeine, sleep breathing disorders (snoring, sleep apnea, Upper Airway Resistance) also affect sleep quality and depth. It can also leave you feeling unrested in the morning on a consistent basis. UARS is especially prevalent in pre-menopause and menopause. Hormones are protective against airway collapse and as they decrease, sleep breathing disorders tend to show up. Typically sleep apnea is reported by bedpartners as loud snoring, pauses in breathing – sometimes with a gasp, jerks while sleeping, lack of dreaming, among other signs and symptoms. Women with UARS rarely snore or aren’t aware of waking throughout the night; they just feel unrested. Atrial Fibrillation (A-Fib, an abnormal heart rhythm) is associated with sleep apnea due to the interruptions in oxygen that irritate the heart muscle/blood flow. Drug resistant hypertension (high blood pressure) is also associated with sleep breathing disorders, especially in a single drug is ineffective at controlling your hypertension. There is no identifiable reason or genetic link for sleep that can be found. Our bodies decay daily and our creator made a complex biochemical self-reboot mechanism to refresh our brains, bodies, and every system needed for being awake in every creature. It’s fascinating to learn about the small details of what sleep does and, the differences between men and women in some aspects of sleep. If you’re having trouble with sleep, ask your physician about a sleep study, or see a sleep specialist. 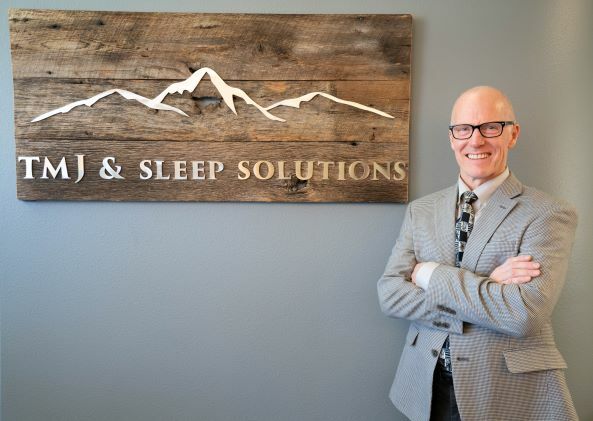 Dentists such as myself who are credentialed in Dental Sleep medicine work closely with physicians to get people screened and treated for their sleep disorders. Oral Appliance Therapy (OAT) is an effective and easy option for the treatment of Sleep Apnea at any level of severity as well as some other sleep breathing disorders for those who don’t want to use CPAP. March 5, 2019 Comments Off on Can A Panorex Dental X-ray Detect TMJ Problems? Can A Panorex Dental X-ray Detect TMJ Problems? TMJ problems such as slipped discs (clicking or popping noises) or complete disc dislocation (can’t open your mouth very far) doesn’t always show up on radiographs until the condition has been going on for a few weeks, months or even years. Clicking, popping or locking of a jaw joint happens when the cartilage disc or cushion has been torn off the bone. The noise is the cartilage disc getting pushed around in the joint. Knees and spinal discs can make noise and still be in place. The noises in other joints are typically caused by compression of air that is in the cartilage in other body joints. The TMJ is the only joint with a disc that is fibrocartilage, unlike the rest of the body. It shouldn’t and doesn’t click or pop in normal movements. Any consistent noises in your TMJ indicate significant, permanent damage. When the disc is out of place, the bones in the TMJ may rub together. Over time this causes arthritis, changes in the joint position (that cause your bite to feel uneven). The muscles around the jaw and neck also tighten, as a protective reflex. The reflex adds more pressure to the damaged TMJ and accelerates the arthritic damage. TMJ’s can have varying degrees of arthritic damage that may not be seen on standard dental panoramic radiographs. Experienced TMJ specialists can detect TMJ problems on standard panoramic imaging however, cone beam imaging is considered “standard of care” for TMJ diagnosis and treatment, sometimes in conjunction with MRI (if surgery is being considered). Clinical measurement of TMJ mobility, palpation of the joints both lateral and posterior can provide a high degree of accuracy for disc displacement but not arthritic changes or misalignment. Virtually all non-traumatic TMJ pathology stems from an unequal growth of the upper and lower jaws, typically influenced to the negative by enlarged tonsils, adenoids, short lingual frenum, and the associated Myofunctional problems that develop because of all of these factors. Medical doctors aren’t familiar with the subtle signs of altered growth, pre-clinical TMJ compression, etc., and rarely recommend screening by a TMJ specialist until obvious symptoms or signs are present. If your jaw joints make noise, don’t move well or lock, or if you feel a shift in your bite, you likely have a TMJ problem developing. It may take time to become obvious, but the damage is progressive and never “fixes itself”. Early intervention offers the best opportunity for a more stable rehabilitation. Diagnostic accuracy of panoramic radiography & MRI… AGD General Dentistry, July/Aug 2018. Kaimal, et al. 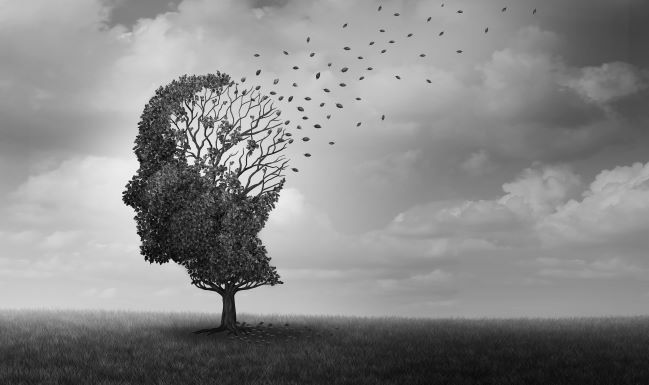 February 7, 2019 Comments Off on Can gum disease be contributing factor in Dementia and Alzheimer’s disease? Can gum disease be contributing factor in Dementia and Alzheimer’s disease? Increasing research is saying “YES”. Some of the aggressive Spirochetes that are found in patients “infected gums” are also found in the central nervous systems (Brain) of patients with Alzheimer’s and dementia. These spirochetes can “hide” from your immune system once inside the brain and may not show up as an infection or cause a fever or other common symptoms. The viruses are loosely associated with Lyme disease, which most people have heard of. It can remain undetected by normal blood tests because it, too “hides” behind the blood-brain barrier, as do other spirochetes. If your Dentist or dental Hygienist advises you that you have a “gum infection” or “Periodontal Disease” I would advise that you take it very seriously. The consequences of untreated periodontal disease we are learning include heart disease, tooth loss, and more recent research is showing a strong correlation to many disorders in the Dementia realm. And that isn’t anything to ignore. Periodontal disease (gum disease) is one of the most widespread diseases in the world, and the US. It’s also almost 100% treatable by YOU, the patient. Most people are just too lazy to take the time to brush properly AND floss twice daily…..when you consider Dementia/Alzheimer’s as a potential disease from not flossing…it might provide a little more encouragement to follow the Dental team’s advice. Recently, a patient presented with “clicking” that has progressed to having a locked left jaw in the morning. They can “unlock” it easily at this point. 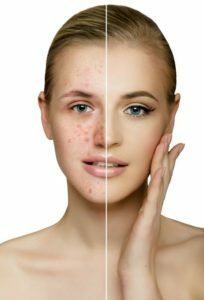 The clicking symptoms started when they were taking Accutane for acne and the clicking seemed to resolve when Accutane was discontinued. Did Accutane have anything to do with this? Yes and no. Accutane side effect profile shows that very few people who take Accutane “brux” or “grind their teeth” after 6 months of taking it (.4% of sample of 30,000 who reported it). Bruxing seems to subside for a few months and then re-appears after another 6 months of use, but at much lower rates. Bruxing significantly increases the pressure in the TMJ and if there is an underlying misalignment or subtle problem, it could “push it over the edge” to become symptomatic. It would have anyway…the increased pressure just hastened it’s onset. Women report bruxing almost 3X as often as males. The #1 reason that TMJ problems develop (regardless of bruxing) is due to the jaw joints (condyles) being “out of center in the sockets”. This is a growth/imbalance between the upper and lower jaws that can only be seen with a 3d radiograph. Up to 90 % of people have some “misalignment” of their TMJ, but not all develop signs (clicking, locking, limited opening or sideways movement, bite change) or symptoms (jaw pain, headaches, clenching or grinding teeth). Many factors trigger the TMJ symptoms to appear and, once they start they don’t “go away” on their own, despite what you read and are told…the symptoms just change. If your TMJ starts clicking, if your bite changes or feels uneven, your ability to open changes, etc…You have a TMJ problem. It won’t “go away” on its own. The symptoms do change as the damage progresses, depending on what structures are being affected. The sooner you can be evaluated by a credentialed dentist the better outcome you will have. Adjusting the bite, “Equilibrating the Teeth” or using an NTI appliance or anterior bite appliance to “get the jaw in the right place” may temporarily decrease symptoms but will accelerate the orthopedic damage in your jaw. They are the wrong devices for any type of TMJ condition and should only be used a week or so. FDA Reports, Who have Bruxism with Accutane. Let’s face it; what we all want is to spend quality time with those we love. 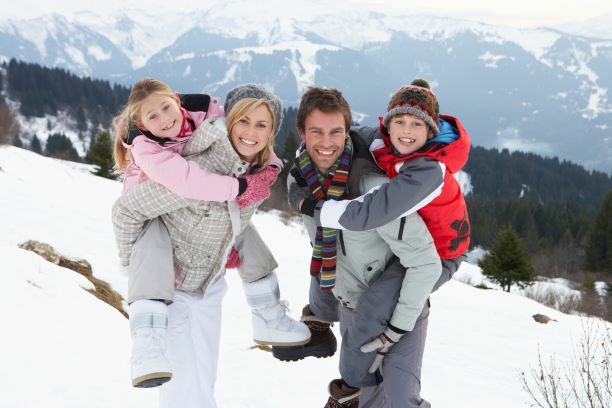 We value health and happiness, experiencing life’s adventures, and snuggling in warm and cozy on a winter’s day. But the truth is most families experience health issues, questions arise and the unknown keeps us from living our lives the way we want to. Following are answers to common questions about links between sleep, TMJ, oral breakdown and other serious health concerns. Sleep apnea is responsible for a wide variety of medical problems, which may seem confusing to dentists and patients alike. It is far more common in children that thought to be, especially in the US where tonsil’s and adenoids aren’t removed when enlarged in children. This is partly due to insurance constraints and very low reimbursement to providers for the small, but possible risk of severe post- surgical infection/complication. Enlarged adenoid and/or tonsils affect facial growth and increase the likelihood of future TMJ problems as well as adult sleep apnea. 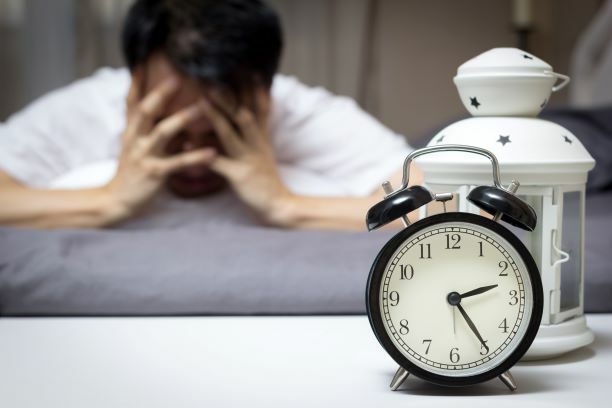 About 6 million adults are diagnosed with obstructive Sleep Apnea (OSA) and the estimate is that 23.5 million adults remain undiagnosed or treated. This places a large burden on the healthcare system because untreated OSA is shown to be a factor in developing TMJ problems, Diabetes, Heart attacks, Strokes, High blood Pressure, and Periodontal Disease (Gum Disease). It’s reported that Sleep Apnea has been found to have been present in 60%-80% of post cerebral vascular  events. Irregular heartbeats are also seen in untreated Sleep Apnea patients and can be the source of a nighttime heart attack. Untreated sleep apnea can also contribute to attention deficits in all ages groups, memory problems, multi-tasking, among other executive functions. Symptoms of sleep apnea vary by gender and age. Toddlers and grade school children often have difficulty falling asleep and waking in the morning. They are often restless sleepers, moving around the bed, kicking the wall, etc. Younger children with sleep breathing disorders often resist going to bed, sometimes causing a stressful nighttime routine. Men typically present with snoring, pauses in breathing while asleep (reported by others), and clenching/grinding the teeth. Women more often complain of difficulty falling asleep or staying asleep. This will worsen with hormonal changes in mid-life. The perimenopausal years significantly increases the onset of sleep apnea in women due to the airway “protective” effect of hormones. Hormone replacement can lessen the severity of sleep breathing problems, but can’t eliminate it. Nighttime Reflux or GERD has a strong association with Sleep Apnea. Each time the airway closes, the attempt to breathe causes acid to push into the esophagus, causing irritation and also eroding the enamel, which Dentists can recognize. Clenching and bruxing is associated with sleep apnea (as mentioned earlier). Both cause the neck muscles to tense and represent a rapid way for the brain to “stiffen or open” a closed airway from sleep apnea. For more information or an evaluation with an expert, please schedule an appointment. Studies, recommendations, allies and liabilities all play a part in creating the information available when trying to get answers to the many questions surrounding TMJ. As a Board-Certified Specialist in both Dental Sleep Medicine and Orofacial Pain, early diagnosis and appropriate, orthopedically-based diagnostic evaluations and interventions are recommended. Because bruxing is a response to problems within the TMJ and/or a response to Sleep Apnea in almost all cases, self-help is not advised for more than 2 weeks. Of course, clenching and bruxing can be a response to pain or musculoskeletal problems elsewhere in the body. If symptoms don’t resolve, seek a consult with a Board-Certified Dentist in Orofacial Pain, and TMJ/Dental Sleep Medicine. This does NOT include Dentists trained in “Occlusal Adjustment philosophies”, which is being shown to be an outdated and inaccurate modality as research has evolved in the past decade. 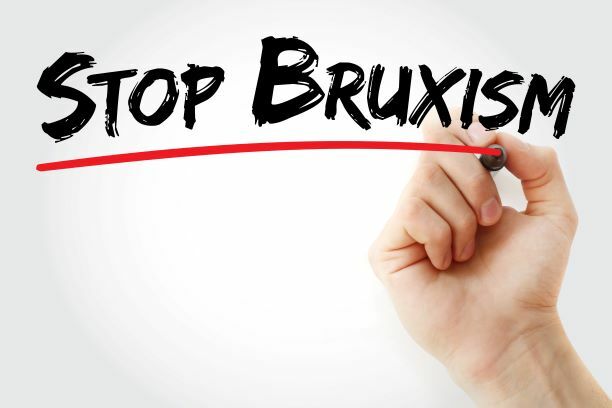 Dentistry still teaches that bruxism is primarily a middle-aged, female reaction to stress as many physicians, dentists, and some online searches suggest. There is very little support of this outside of “occlusal-related modalities” of treatment which follows. Literature reports bruxism is more common in middle age for both men and women. It is suggested to have different etiologies. The current diagnostic triage for assessment of the underlying trigger for bruxism suggests sleep disordered breathing. Men are more likely become overweight in middle age and may not make time for exercise due to careers that are demanding travel, late meetings, etc. Weight gain, especially in the neck and abdomen is a risk factor in Sleep Disordered Breathing. Fat deposits are significant throughout the tongue. In women, the decrease in hormones (perimenopause- estrogens especially, that are airway-protective) decrease, leading to increased collapsibility. Women typically present with symptoms of fatigue, poor sleep, etc; but not snoring. This is the “hallmark” of UARS (Upper Airway Resistance Syndrome), a sleep -breathing disorder almost universally in perimenopausal women. A large neck circumference is an important predictor of OSA in men and women. A circumference greater than 17” in men and greater than 16” in women is a significant predictor of OSA. Why are sleep-breathing disorders such an important disorder to rule out? It’s likely the #1 reason for Clenching and grinding (parafunction). The collapse of the oropharyngeal airway triggers a neurologic alarm, which awakens you slightly and triggers a momentary “clench”, which rapidly re-opens the airway. Studies have shown up to a 70% predictability of a sleep breathing disorder with a report of clenching. Bruxing is typically associated with clenching. Although there aren’t studies to support it definitively, there is proof that it is associated with the damage to the TMJ from clenching as well as a misalignment of the jaw joints (which exists in 91% or adults in a study in the 1980’s). The bruxing component may be an attempt to move the displaced jaw joints as they are damaged by repeated clenching and the associated muscle tension. Damage to the disc elicits significant muscle co-contraction and further joint misalignment. Stress can lead to increased muscle tension, increased heart rate and blood pressure, etc. None of these physiologic parameters are controllable when we are sleeping properly. If you’re asleep, you’re asleep. Clenching and bruxing occur in lighter stages of sleep- which is the strong association with a sleep-breathing disorder. They also cannot be controlled unless you aren’t asleep. “Jaw misalignment” must be clarified as a “TMJ joint misalignment”. Condylar Position (jaw joint) in the fossa has no relationship to how our bite appears. The bite determines how the joints align and can only be assessed by a 3D image and using acceptable joint space analysis that is well documented in literature. This is the primary disconnect within Dentistry today; Dentists blindly believe that well-aligned occlusion correlates to proper joint alignment. In over 90% of all adults, this is not the case. Typically, the severity of the jaw joint misalignment in its socket (pathologic position from early childhood growth that positions the joint backward/up in the socket, such as in dental occlusal adjustment protocols that “manually manipulate the jaw/joint up & back”. The only method to assess this is careful “joint space measurement” using 3D cone beam imaging with published references of joint space. Clinical measurement of jaw mobility is also a valuable and necessary examination tool. Although equilibration of the bite can reduce symptoms, it follows the wandering nature of symptoms that are related to the anatomy and external factors and physiologic adaptability. Objective improvement of all TMJ joint spaces to normal, or as close as possible. Improvement of all 4 measurements of TMJ mobility. Relief of head and neck muscle pain, co-treat if necessary, with other providers. 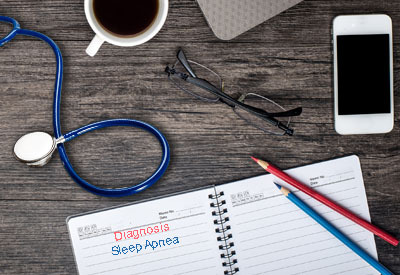 Assess for sleep apnea and other breathing disorders. Use removable and reversible Orthotic Appliances. These do NOT place the jaw in a backwards position in the fossa that causes the back teeth touch harder or require equilibration or occlusal adjustment over several visits. Proper restoration of joint space positions the jaw slightly forward, typically resulting in the back teeth not touching. This is a positive sign that the joint space is restored. All studies by these organizations follow single-symptom, linear progression protocols. For instance, if a TMJ is clicking and it “stops” after a period of time, the study ends with the conclusion that “clicking is a self-limiting symptom that resolves with self-help therapy”. True, because the “disc” that partially dislocates will eventually “completely dislocate” and no longer click. At that point the TMJ is rubbing bone on bone. Other symptoms may then appear such as muscle pain, joint pain on the other side, headaches, uneven bite, etc…. Since those “signs and symptoms aren’t in the original study”, they cannot be reported or followed. The reason the clicking stops is because it’s now “completely dislocated”, which changes the progression of the problem. The study can’t follow a “new” symptom as the TMJ problem progresses. They recommend taking various medications including muscle relaxers, anti-anxiety meds, sleep aids, etc. The TMJ Association is allied with pharmaceutical companies. The American Dental Association cannot take a stance due to potential “liability claims” should “TMJ” be associated with any type of “dental bite” procedure or “occlusion”……. Board Certified, American Board of Craniofacial Pain. January 2, 2019 Comments Off on It’s just “snoring”. As we approach middle age, it’s common to start snoring for both men and women. Snoring is a sign that you’re not getting enough air with each breath. Snoring and pauses in breathing mean that your airway has closed. This is Obstructive Sleep Apnea. If anyone tells you that you pause in breathing, snort or gasp while sleeping, or you consistently feel unrested in the morning you should be evaluated for Sleep Apnea. Snoring doesn’t bother the snorer, but it may cause sleep deprivation to your bed partner. Their lack of sleep can also have physiologic consequences too. Proper sleep “stages” throughout the night are important for the body to repair and restore different organs and systems while we sleep. We typically should go through 4 sleep “stages” every 90 minutes or so, throughout the night. Each sleep stage has its “job” of what gets restored. Snoring, restless sleep, gasping, frequent waking can all be signs that you have Obstructive sleep apnea; a potentially deadly condition. In a recent study of 744 college aged who had only mild/moderate obstructive sleep apnea and normal blood pressure at baseline were followed for high blood pressure. There was a strong association for young and middle-aged adults to develop high blood pressure because of their mild-moderate sleep apnea. They also had a higher statistical onset of metabolic syndrome (early diabetes). Older adults (over age 60) didn’t develop high blood pressure. Age seemed to be a benefit. If you or someone you know has symptoms of sleep apnea, the earlier it is diagnosed and treated, the healthier you will be over the decades. Many people only know about “THE MASK”, or a CPAP as the way to treat apnea or snoring. Dental appliances are an alternative to CPAP in treating sleep apnea. Credentialed Dentists in Dental Sleep Medicine and TMJ can work with your sleep doctor to design, adjust, and monitor your progress. Oral appliances are easy to wear, (like a dental nightguard) and travel with. They require monitoring by a trained dentist periodically. If you, or someone you know has symptoms of sleep apnea, such as snoring, we can help get them diagnosed and treated before high blood pressure and pre-diabetes develop. 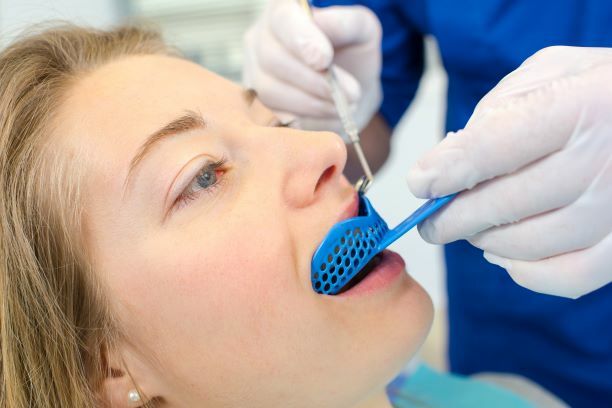 Oral appliances are gaining popularity for their ease of use, travel, and effectiveness.